There is a new regulation regarding Social Insurance for Outside Of Working Hours (JSHK – Jaminan Sosial Dalam Hubungan Kerja) issued by the governor of DKI Jakarta, namely Pergub No. 136 of 2009. The new regulation has the same substance and purpose as the Governor Regulation No. 82 of 2006 concerning Accident and Death Insurance Outside Of Working Hours (JKDK), which has been revoked by the Supreme Court in 2008. The old regulation was considered a burden to companies as it could inflict high costs. However, in 2009 the governor issued this new regulation and requires companies to enroll their employees in this JSHK Program, with a contribution of 0,24% of the total salary of each worker per month. The purpose of this program is to increase employee welfare, as it provides them with such protection from the risk of an accident outside of regular working hours. Workers / their families can raise claims from the JSHK program only if the workers suffer from injuries or death by accident outside working hours. The JSHK can be considered as a kind of additional accident insurance. However, it is not fully clear in which cases the insurance applies. There are only several cases which are clearly exempt from the insurance (i.e. risky sports, suicide, airplane accidents, birth complications, accident during working hours and any self-inflicted injuries). This regulation is supposed to be valid from the issuing date on 13 August 2009, but the governor still tolerated companies for not having JSHK back then. Since February 2016, it has become mandatory for both existing and new companies to participate in the JSHK Program. If companies do not register within 2016 they might be exposed to administrative sanctions (i.e. refusal of extension of business licenses, domicile letter, business registration letter and even monetary penalties etc.). We strongly recommend to check whether your company has already registered for this scheme with the relevant authorities and if not done yet to register before 31st of December 2016 to avoid sanctions and negative consequences to your business. If you have any questions about the new regulation, the registration process or the JSHK system, please feel free to contact us. We are ready to assist and support in the registration process. 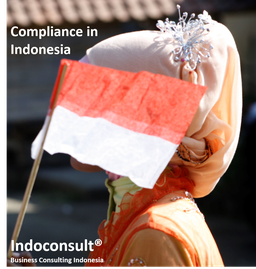 Ensuring that your company is having all required insurances, licenses and permits is part of our Compliance in Indonesia program which supports your business in Indonesia.